This is the end of the forty eighth chapter Of the book of Kishkinda of the holy Ramayana composed by Valmiki as the first epic. This is the end of the forty ninth chapter Of the book of Kishkinda of the holy Ramayana composed by Valmiki as the first epic. After having reached that location they saw a forest shining like blazing fire dispelling the surrounding darkness. They saw Sala, Tala, Tamala, Punnaga, Vanjula, Dhava, Champaka, and Naga trees and also saw blossoming plants of Karnika, bunches of beautiful golden flowers, and tender leaves radiant like the rising Sun. They saw golden trees with creepers entwining them. These trees bedecked with golden ornaments shined like the rising Sun. There were structures encrusted with sapphire and Vaidoorya stones for reclining. Those golden trees were shining brightly. There were lotus creepers of the colours of Sapphires and Vaidoorya s. The ponds surrounded by birds were filled with golden lotuses. They saw all over rich collection of beds, seats and vehicles wonderfully decorated with gems and gold. They also saw a large collection of wonderfully shining utensils made of gold, silver and bronze. The monkeys saw here and there collections of pure Gold which were glittering like a raging fire. This is the end of the fiftieth chapter Of the book of Kishkinda of the holy Ramayana composed by Valmiki as the first epic. After saying this again Hanuman addressing that great lady saint dressed in deer skin and said to her. This is the end of the fifty first chapter Of the book of Kishkinda of the holy Ramayana composed by Valmiki as the first epic. This is the end of the fifty second chapter Of the book of Kishkinda of the holy Ramayana composed by Valmiki as the first epic. 53. The Monkeys were perplexed as time limit has been exceeded. Then they saw the horrifying sea which was the home of Varuna and which was endless and dreadful . This is the end of the fifty third chapter Of the book of Kishkinda of the holy Ramayana composed by Valmiki as the first epic. “I am directly and frankly telling you that all the monkeys are not going to be obedient o you .Neither Jambhavan, Nala, the great monkey Suhothra , nor even myself agree with your opinion and it is not possible for you to influence any of these monkeys using Sama, Dhana, Bhedha and Danda methods . This is the end of the fifty fourth chapter Of the book of Kishkinda of the holy Ramayana composed by Valmiki as the first epic. All of them surrounded Angadha, who has decided to fast under death , blamed Sugreeva, praised Vali . This is the end of the fifty fifth chapter Of the book of Kishkinda of the holy Ramayana composed by Valmiki as the first epic. This is the end of the fifty sixth chapter Of the book of Kishkinda of the holy Ramayana composed by Valmiki as the first epic. This is the end of the fifty seventh chapter Of the book of Kishkinda of the holy Ramayana composed by Valmiki as the first epic. This is the end of the fifty eighth chapter Of the book of Kishkinda of the holy Ramayana composed by Valmiki as the first epic. This is the end of the fifty ninth chapter Of the book of Kishkinda of the holy Ramayana composed by Valmiki as the first epic. 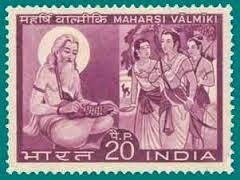 This is the end of the sixtieth chapter Of the book of Kishkinda of the holy Ramayana composed by Valmiki as the first epic. 61. Story of how Sampathi burnt its wings. This is the end of the sixty first chapter Of the book of Kishkinda of the holy Ramayana composed by Valmiki as the first epic. This is the end of the sixty second chapter Of the book of Kishkinda of the holy Ramayana composed by Valmiki as the first epic. This is the end of the sixty third chapter Of the book of Kishkinda of the holy Ramayana composed by Valmiki as the first epic. When the Monkeys stood round Angadha holding a flag , it looked the army of Gods surrounding Indra. This is the end of the sixty fourth chapter Of the book of Kishkinda of the holy Ramayana composed by Valmiki as the first epic. This is the end of the sixty fifth chapter Of the book of Kishkinda of the holy Ramayana composed by Valmiki as the first epic. 66.Jambhavan tells Hanuman that he can do it. This is the end of the sixty sixth chapter Of the book of Kishkinda of the holy Ramayana composed by Valmiki as the first epic. When he expanded to a great size his face was shining a frying pan and like a smokeless burning fire. Then that son of Wind God , who was eminent as wind god and the crusher of enemies ascended the great mountain Mahendra which was inhabited by deer and on grassy lands full of trees, fragrant vines bearing flowers thickly grown ever in bloom with flowers and fruits where lions and tigers wander, proud elephants frequent, intoxicated birds make sounds of different kinds and full of waterfalls. This is the end of the sixty seventh chapter Of the book of Kishkinda of the holy Ramayana composed by Valmiki as the first epic.